Before we proceed, here are some items that you may need to purchase. If you have them handy, good for you. These foam pads can mostly be found with your wax product. You can also buy them online on eBay and Amazon or in your nearest car shop. 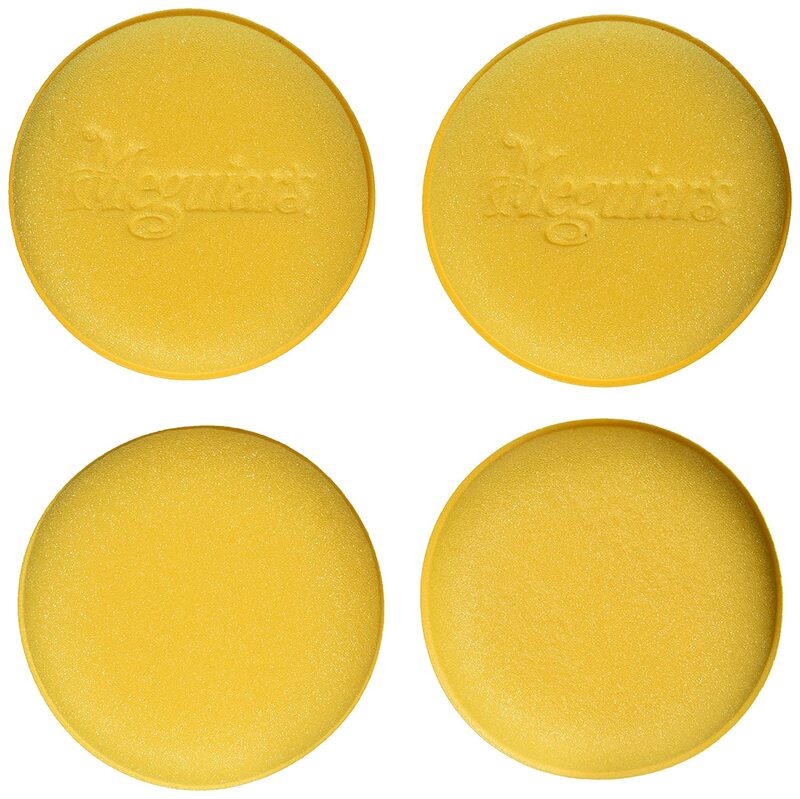 Meguiar’s foam applicator pads are sold at $6.15 for a pack of 4 pads. Microfiber is great for drying your car because it doesn’t leave marks. You can buy 3M microfiber cloth from Walmart at $6.67 per pack of 15 cloths. This will be used to polish your car after washing. 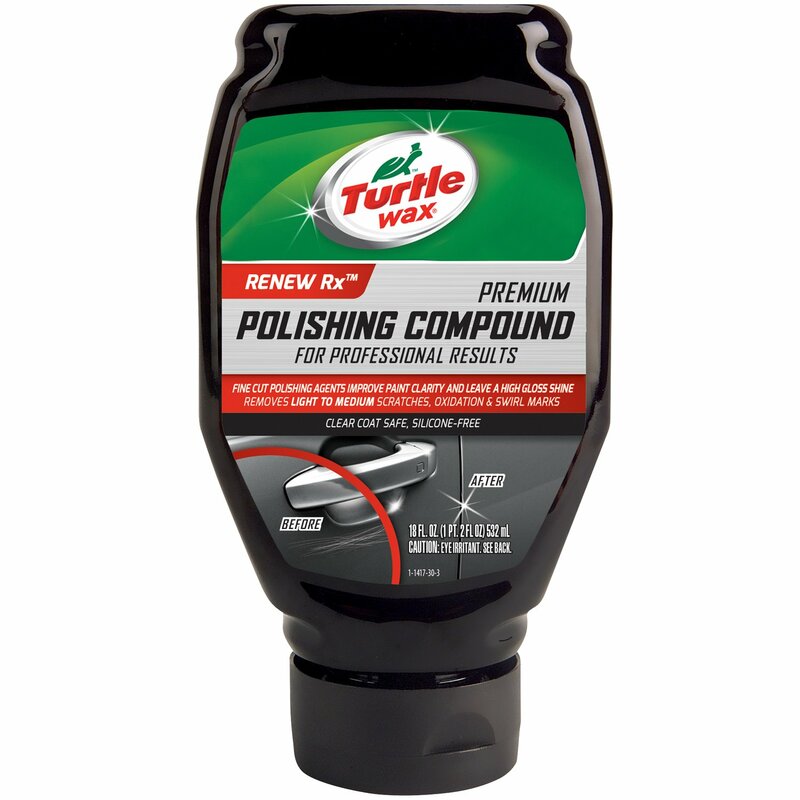 Turtle Wax Polishing Compound is one of the recommended products. You can buy an 18-ounce bottle for about $8.49. If you don’t want to manually polish your car, you can purchase an electric car polisher at around $380. Car polishers are high-powered which makes polishing fun and easier. You can purchase a clay kit for an average of cost of $17.24 to $19.99. The kit includes 2 80-gram non-abrasive clay bars, clay lubricant, and a microfiber towel. You can also just purchase a block of clay for about $9.99. Apart from those things, if you have distilled white vinegar in your pantry, good for you. 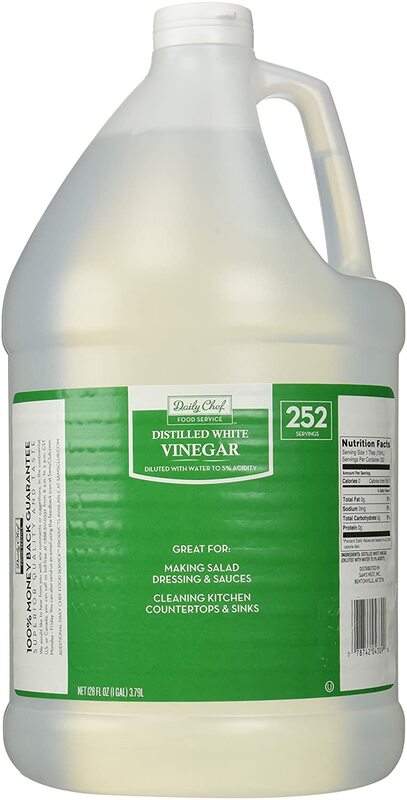 Walmart sells a gallon of distilled white vinegar for $2.48. Moreover, paint cleaner is optional if the water spots are not that prominent while distilled water can be used for acid wash.
​Last, water spray bottle, even those used for gardening will do. Meguiar’s sells a self-cleaning spray bottle for $3.99. Now that you have all the materials ready, make sure to put on comfy clothes (you’ll get wet and sweaty for sure!). Make sure you work in the shade and in an area where it’s not too dusty – or else the dust will affect your project. Here are the steps on how to remove water spots from your car. Visually inspect the water spots by scrutinizing the area under fluorescent lights or even sunlight. Don't forget to determine the type of water spots before removing it! Feel the surface for rough spots. 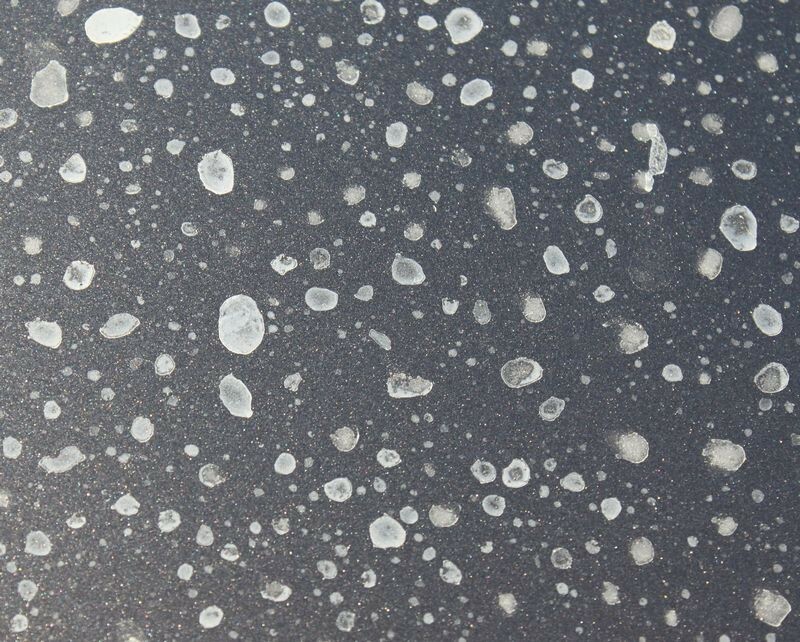 These rough spots indicate residue from rain water or mineral deposits that are left behind when water evaporates. Determine the type of water spots – There are 3 types of water spots that will affect the gravity of your cleaning process. Type 1: Water spots can easily be removed with shampooing and polishing. Type 2 Water spots are brought about by corrosive elements in the water and may need an acid wash. They look like craters or etchings on the car. Type 3: Water spots are the most difficult to remove. They look like dull or faded spots and usually affect single stage paints. Start by washing and shampooing your car to remove dirt and grime. These will also help you determine the intensity of the water spots’ effect. Make sure to dry your car after washing to avoid the possibility of creating additional water spots. Use your microfiber cloth then drying your car. When the car dries, mix 1 part of distilled white vinegar with 3 parts of water in a water spray bottle. 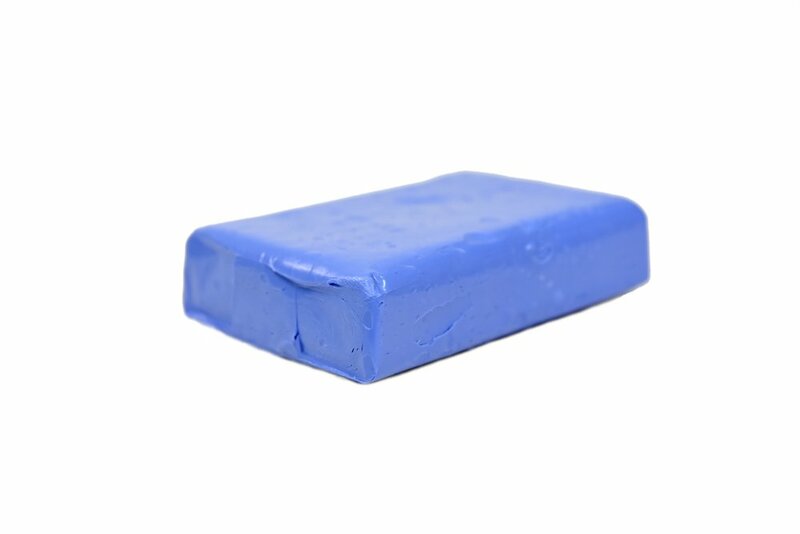 Apply the solution by directly spraying on your car’s surface and spreading it with a sponge. Leave it on for 30 to 60 seconds then rinse. Shampoo your car again and dry it off completely.Visually inspect for water marks and run your hand over the service. Check for deposits that may have been left behind. If you still see water spots and feel rough spots, chances are you have type 2 or type 3 water steps. Get your auto-detailing clay and apply on the area where there are still water spots. The clay will remove deep-seated contaminants from your car’s paint. After claying, you need to wax your car again as claying removes the wax. 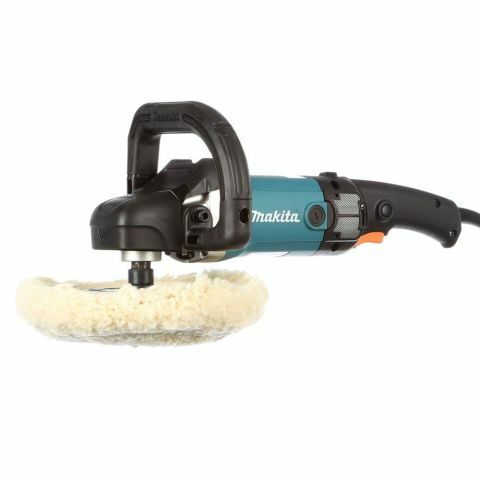 Bring out your polishing compound and apply with the applicator it comes with. When applying polishing compound, flatten your palm to even out the pressure and avoid finger marks. Apply an ample amount and work with an 8-inch or 10-inch area. The polish should go from opaque to clear in a minute. Wipe it off with a clean microfiber cloth before it dries. Bring out your polisher and start polishing it to a finish. Now, bring out your fluorescent lights and carefully inspect the water spots. Run your hand over the surface. I’m sure it will be all smooth and shiny now! After you have done all the above, better to cover your car with a clean sheet and park it under a shed. I don’t know why, but every time my car gets cleaned it rains afterward. I hope you don’t encounter the same issues. So, how do you like your shiny, looks-almost-like-brand-new car? Did you find the above tips helpful? I’m sure you do! I’ve done this with my Honda and it always looks brand new even though it’s 6 months old. Here’s my shiny, black Knight: I know that it could be both tedious and a bit pricey to maintain a car. But of course, since you’ve already invested in one, you should take good care of it. It’s like having a baby, too. I would rather have a well-kept car than waste my time and expenses taking it to the shop for repairs. Don’t you think it’s worth the effort and money? I used to be complacent in just shampooing and vacuuming my car. But when I look at those annoying water spots and feel them, I am afraid that it will never be removed if I don’t remove it NOW. If I leave it alone to absorb into the paint, it will end up damaging the paint itself. A paint job costs more expensive than doing the above. Besides, if I have it painted I would end up leaving it in the shop and not having to use it. So, after you have tried the steps above, please share your comments and even photos of your shiny, brand-new-looking cars. Please share this article and let your friends know about the secrets on how to remove water spots in your car. Thanks in advance!